Last night, Merle Haggard & The Strangers brought their legendary songs to the stage in the hometown I grew up in, Englewood, New Jersey. 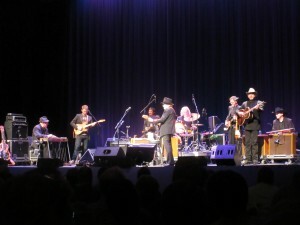 This show was the night after Merle released a new album with Willie Nelson, entitled “Django and Jimmie” which he later announced as his first #1 album in twenty eight years. 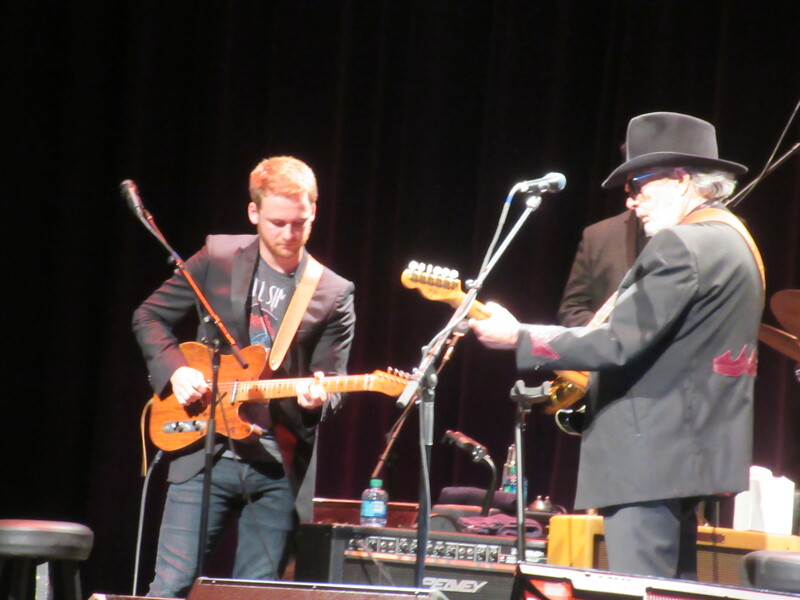 His son, Noel, started things off with a short set as he sang some classic style country music that was easy listening without any spark. But, at approximately 8:45, The Hag took to the stage with a black hat, sunglasses, and electric guitar and the match was immediately lit. 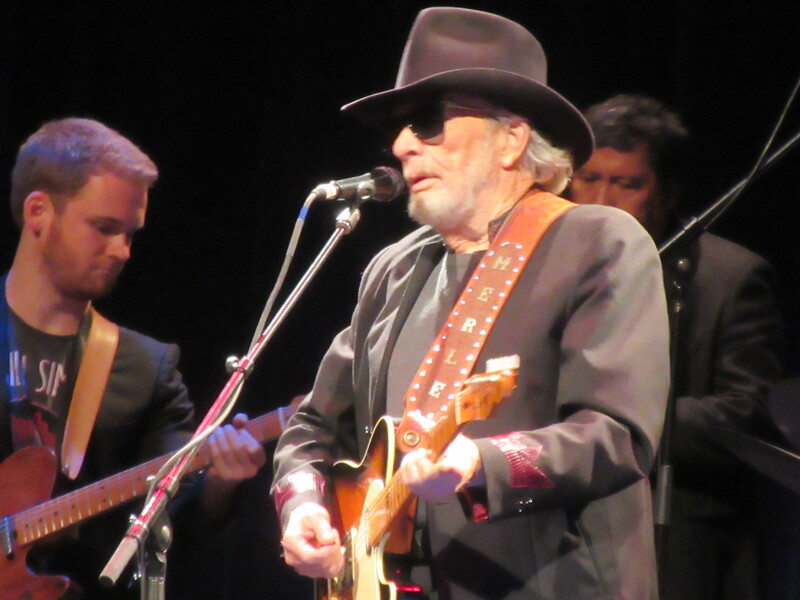 Merle kicked things off with “Big City” and followed it up with Johnny Cash’s “Folsom Prison Blues” which had the sold out crowd stomping along right from the start. 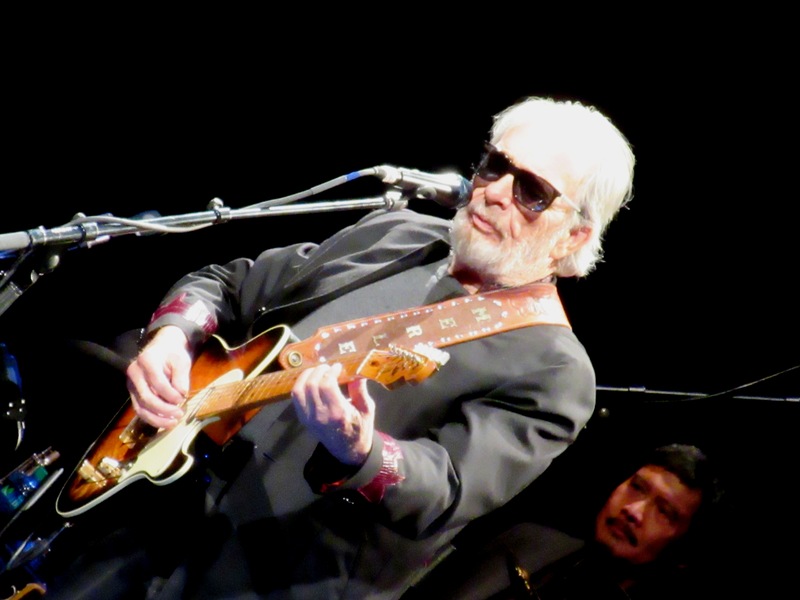 I had seen Merle live just once prior and he seemed to be much more animated this night, as he ripped into guitar solo’s, made jokes throughout the night (especially about hearing aids and marijuana), and even did some stationary dancing on stage. 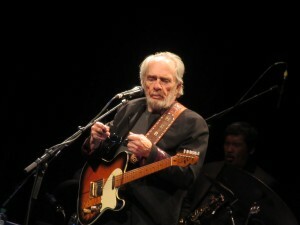 I read some reviews of Merle’s recent shows and saw the setlists from those nights. I was expecting an identical setlist, but was very surprised and happy that it was not. 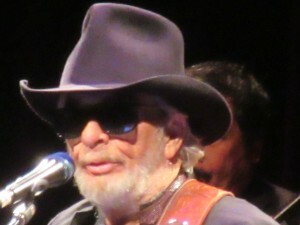 He sang some of my personal favorites on this night, such as “The Bottle Let Me Down”, “Silver Wings”, “Think I’ll Just Stay Here and Drink” and the legendary song “Pancho & Lefty”, originally recorded with Willie Nelson on their first duets album. He even sang a song, “Unfair Weather Friend” from the new Willie & Merle album, which he performed seamlessly. It was a dream setlist and Merle’s vocals were spot on all night. 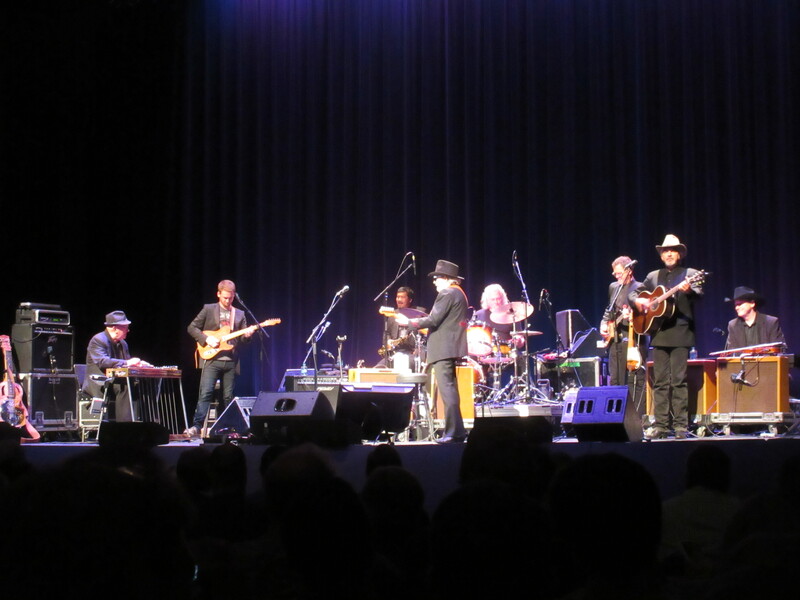 I have had the pleasure of seeing various artists live who have achieved legendary status, such as Bob Dylan, Bruce Springsteen, Willie Nelson, Elton John, Carlos Santana, U2, Roger Waters, Jay-Z, and Paul McCartney. Merle’s performance and vocals stacked up to the best of the icons I have seen live. 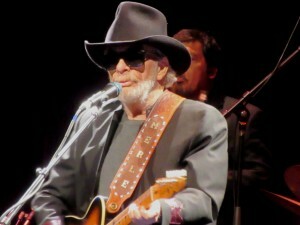 He finished the night off with the epic songs “Fighting Side of Me”, “Working Man Blues” and “Okie From Muskogee”. 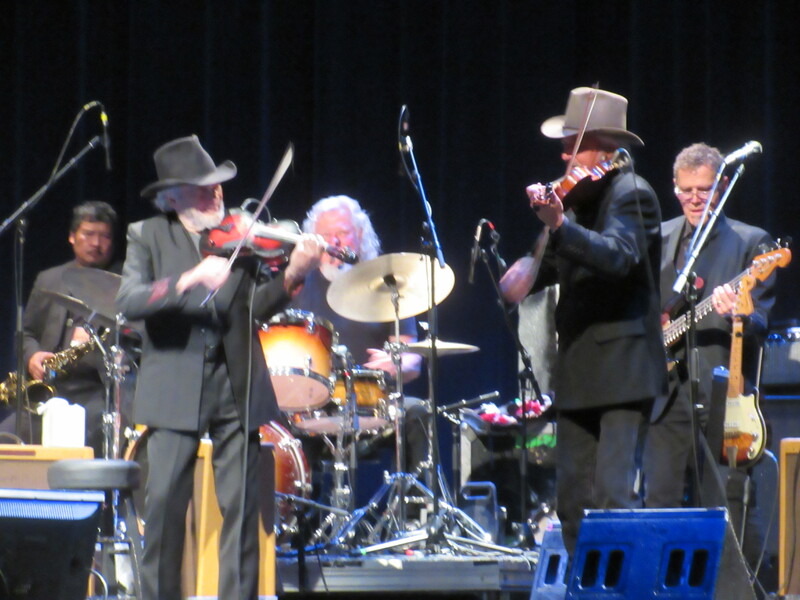 Everything Merle did that night was just that, in my eyes, perfection. And sitting in the 8th row in an intimate venue in my hometown, made me appreciate what he has done for music history, that much more.